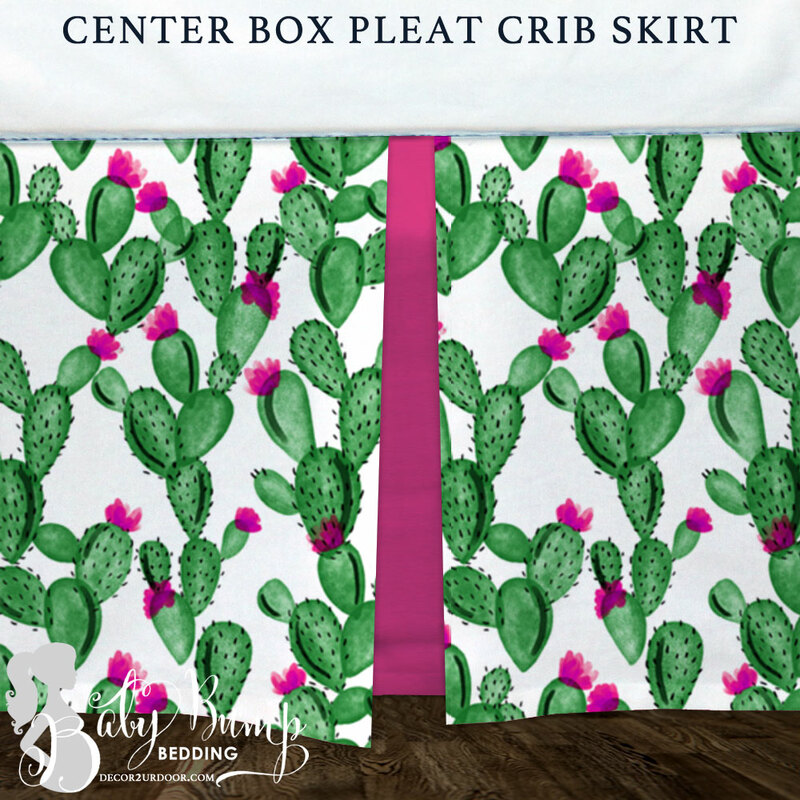 This pink flowering cactus look is totally trending. 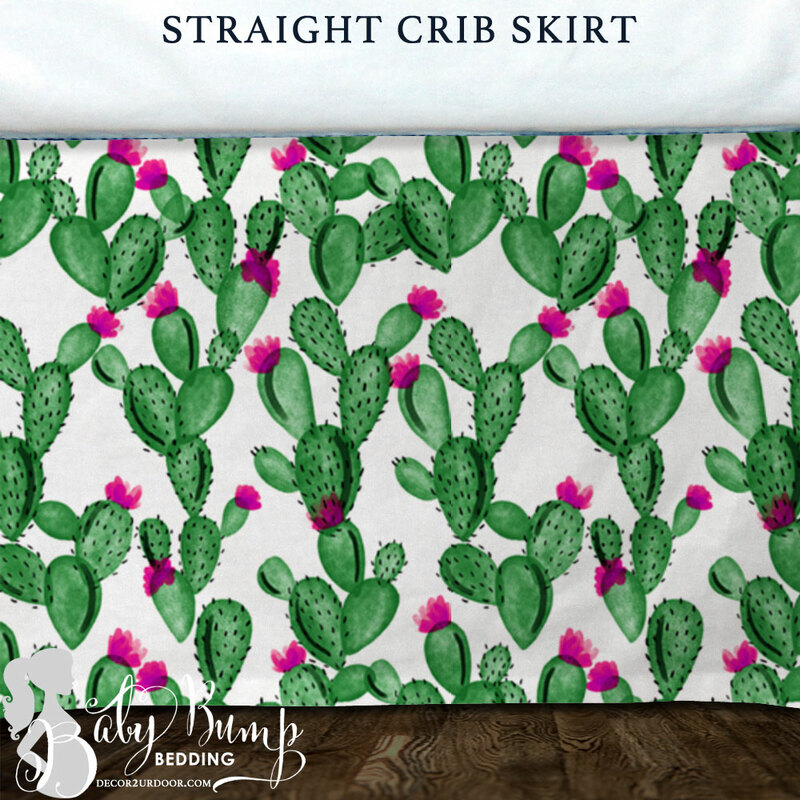 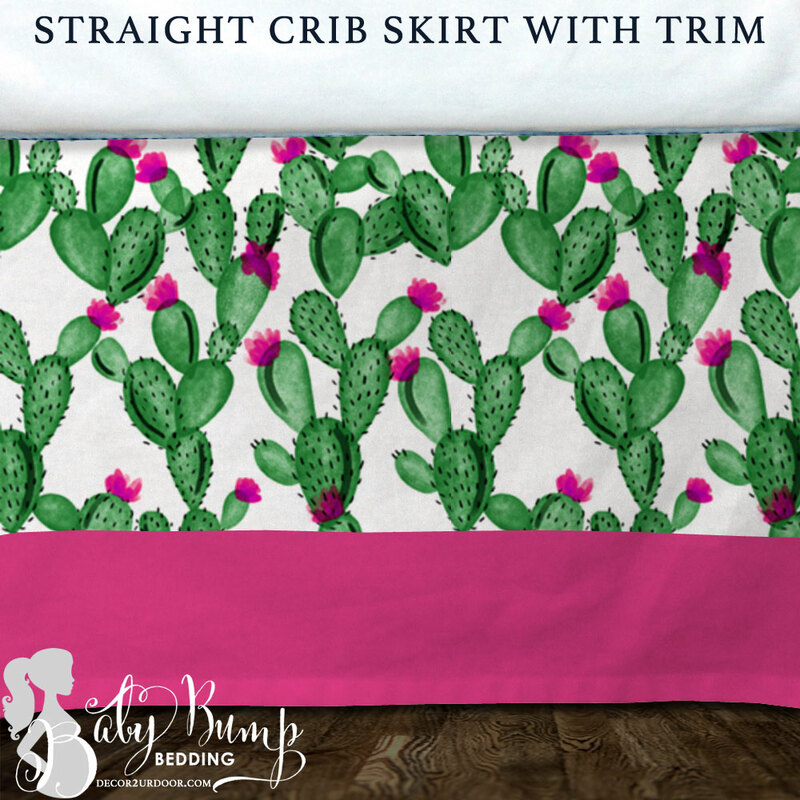 A twist on our famous gender neutral cactus baby bedding - this flowering pink cactus is perfect for your baby girl nursery. 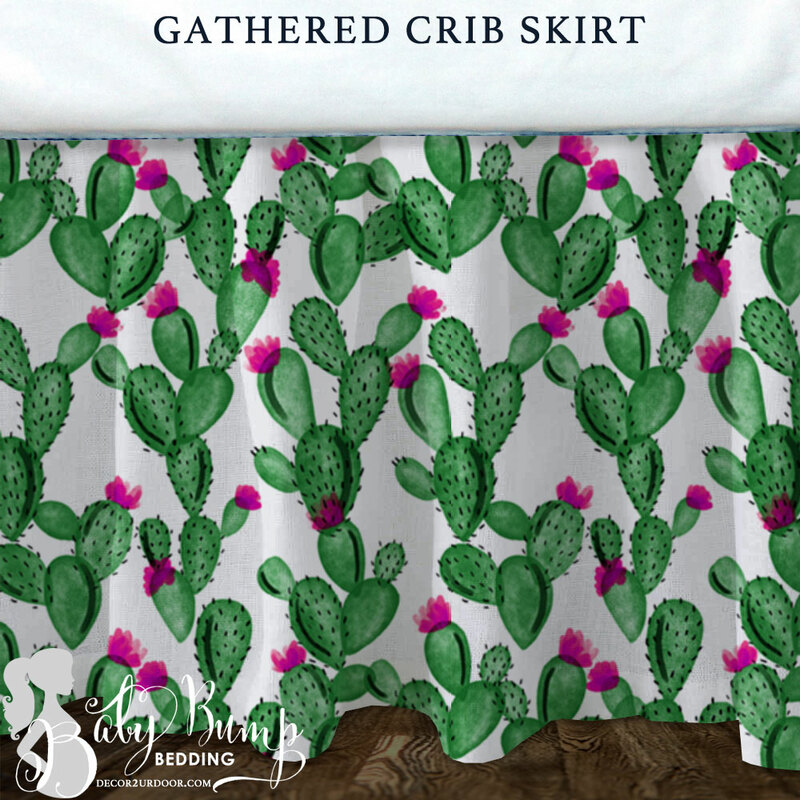 Don’t forget to add your cactus with pink flower accents to complete your dessert cactus nursery look.